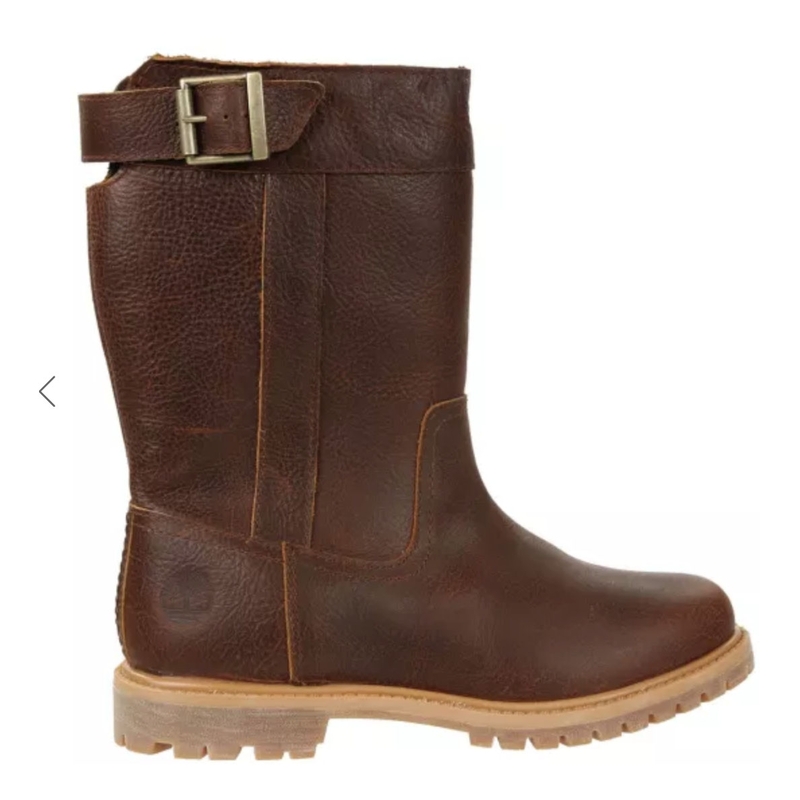 Timberland Nellie Pull-On Waterproof Boots. 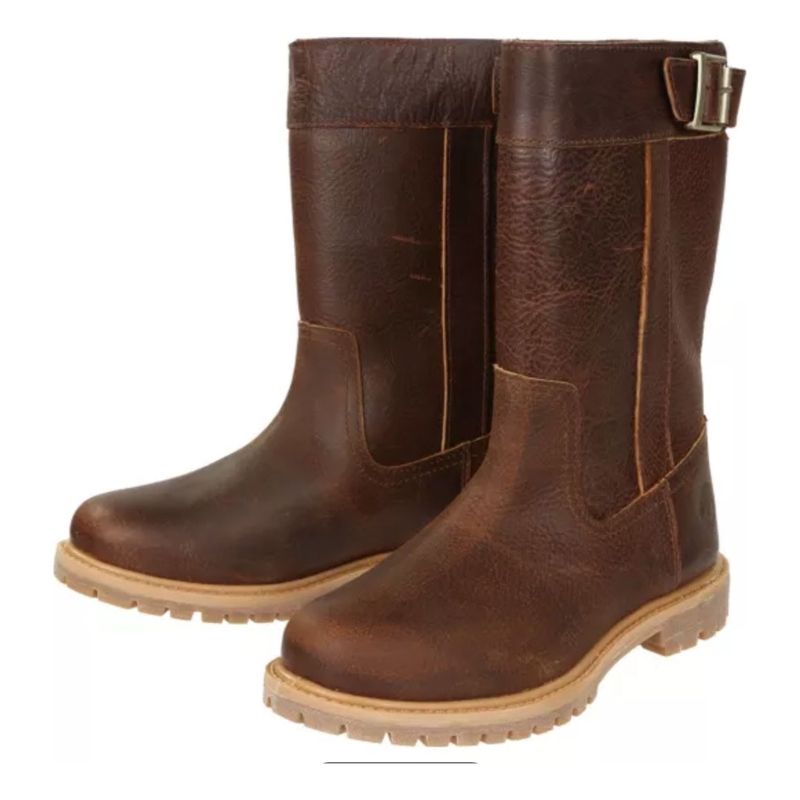 The casual biker style of these Nellie Pull-on boots feature a waterproof black premium full grain leather upper and a rubber lug outsole for durability and traction on any surface. 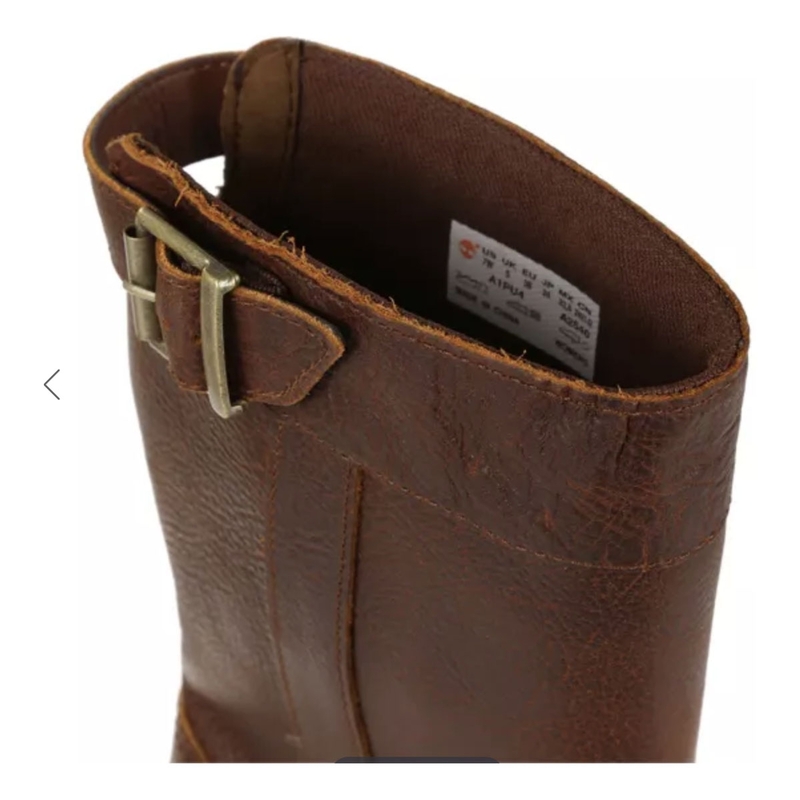 These stylish boots can be worn throughout autumn and winter and will keep you warm and dry.